Southpaw is a boxing movie with, dare I say, far too much boxing in it. I realize that sounds strange, but director Antoine Fuqua’s new movie isn’t very interested in its extended training montages or improbable fight scenes—and that’s not entirely a dig. Unapologetically, Southpaw is a vehicle for star Jake Gyllenhaal to continue his career renaissance with another stellar performance. 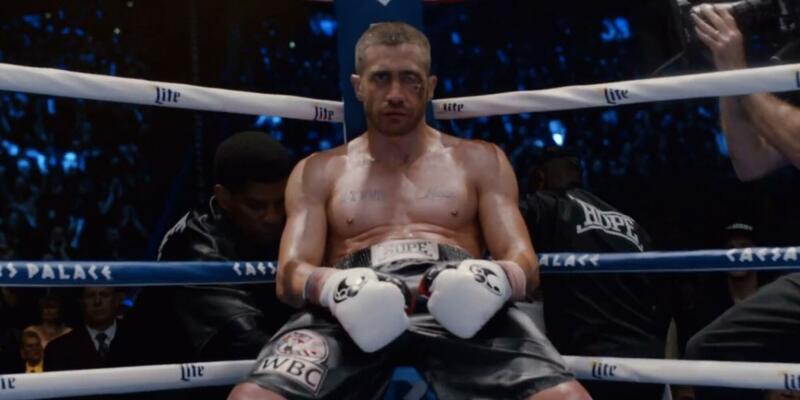 Unfortunately, Gyllenhaal’s stellar performance draws attention to just how hokey the rest of Southpaw actually is. Gyllenhaal plays Billy “The Great” Hope, an undefeated boxing champ whose life becomes overstuffed with the saddest sad stuff to ever sad after his wife, Maureen (Rachel McAdams), is killed during an incident so awkwardly melodramatic that our eyebrows are still raised when the end credits roll. Part of that awkwardness has to do with the fact that Maureen’s death sets up a mystery that we assume is going to be Southpaw’s major subplot before dropping it immediately. Maureen’s death triggers Billy to start falling apart in all the worst ways. His promoter dumps him, apparently everybody in the world sues him, his mansion gets repossessed, and he loses custody of his daughter to child protective services. See? Saddest sad stuff ever. Shortly after hitting bottom, Billy finds employment as a janitor at an inner-city boxing gym run by Titus “Tick” Wills (Forest Whitaker). With characters named Billy “The Great” Hope and Titus “Tick” Wills, you really know that you’re watching a boxing movie. Anyway, Titus takes Billy under his wing, the opportunity for a redeeming title fight emerges and the latter-half of every boxing movie ever made ensues. What’s fascinating is that there are way too many training montages and fight scenes in Southpaw, and yet they all manage to feel a bit rushed as the narrative struggles to get back to what everybody really wants to see: Gyllenhaal emoting for your consideration. Southpaw truly is a starring vehicle for Gyllenhaal to deliver a performance that is so crazy stupid awesome, it’s sort of heartbreaking when the movie doesn’t trust him to carry it. Scene after scene of Gyllenhaal delivering intense, immersive perfection is completely undermined by unconvincing dramatic stakes and a soundtrack so hammy that Fuqua might as well of just reused the theme from Chariots of Fire. As for the rest of the cast, everybody kills it in their mostly underwritten roles. The only big misstep is the criminally underused Naomi Harris, whose character isn’t just underwritten but whose presence in Southpaw’s third-act is downright inexplicable.